The National Hockey League is a serious sport and it's fans even more so. With the beauty that is cable television, those fans are more global than ever and regardless of what season it is where you're sitting, all sportsfans know when it's NHL time. Including Stan Lee. 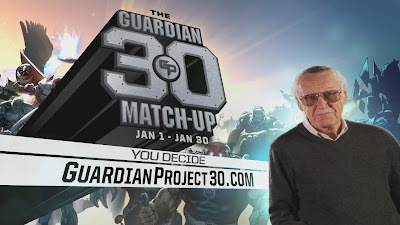 Now partnered with the NHL itself, the man who has co-created the majority of Marvel's mainstays, is back in the hotseat, this time helping birth 30 bold new superheroes - one for each NHL team, with powers relevant to their city and represented crew - this he calls The Guardian Project. 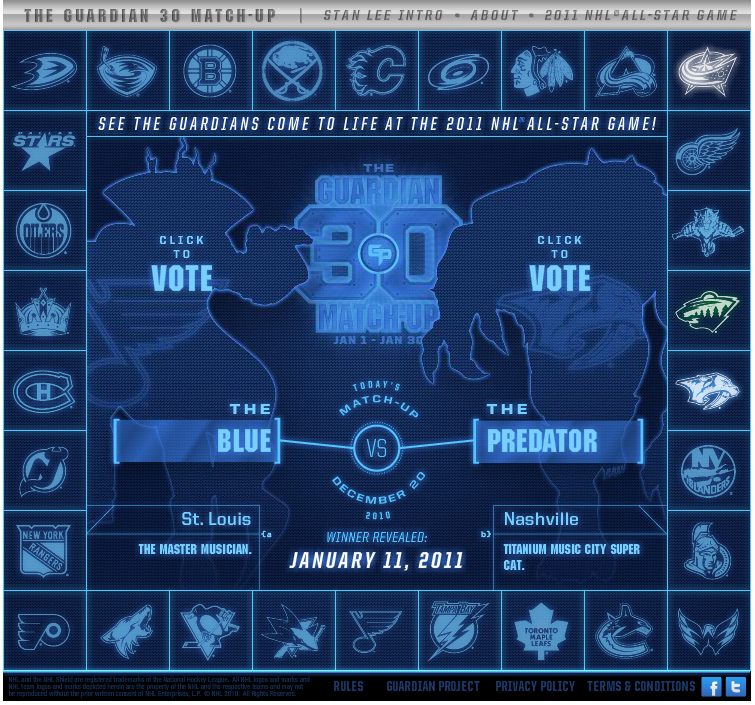 As if reaching out to the 70 million fans of the NHL wasn't a cool enough way to blend sports and super heroics, you can now also obtain The Guardian Project Facebook application. With this great interactive number, you can vote for your top team and help decide the order in which the 30 new heroes will be unveiled. You don't want your guy (or gal) to be picked last do you? Voting's open all through January, so get in and bid on all the daily match-ups. Then be sure to tune in Sunday, January 30th as all 30 superhero Guardians debut live, within the 2011 NHL All-Star Game! 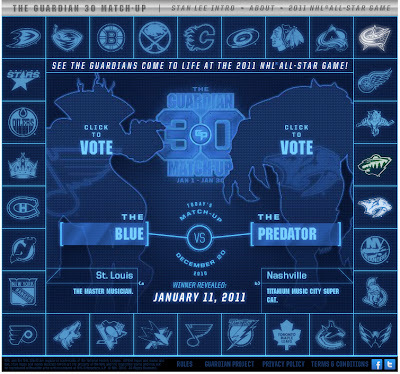 For more on The Guardian Project, visit guardianproject30.com to get Facebooking NHL super-hero style, click the jump!